When you work as a commercial real estate broker or agent, the marketing of your properties will (or should) always be happening, and that is certainly wise if you want more commissions. However, as an industry specialist, your real estate profile and skill base are things that also require consistent focus and promotional system establishment. 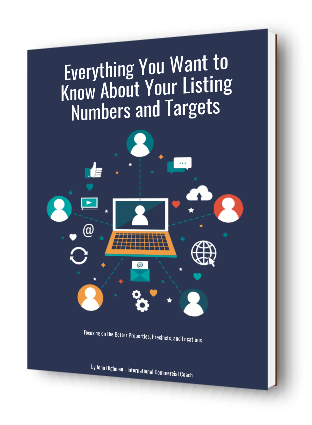 Many agents spend much more time in marketing their listings that they do of themselves. That can be an error; a ratio of 50/50 is a valuable balance to apply to your listing marketing and personal marketing. It is a daily process. What is your ‘personal brand’ as an agent or broker in commercial real estate, and how do you ‘get the message out’ now? You need a personal marketing plan for ongoing personal business growth; a plan of that nature will give you plenty of traction in the marketplace. While we all like to promote ourselves uniquely, the requirement of self-promotion should not be overlooked or lessened. What is the evidence here? When you look at the top agents of the market, they all connect with their clients and prospects regularly. They may do so in different ways, but the promotional plan exists in almost all cases. Luck has nothing to do with success in commercial real estate brokerage. If you are struggling with building your real estate business, look at your strategies and actions around this idea. Are you doing enough now? Can you do more? Most agents and brokers can do a lot more for themselves in personal marketing, particularly so with some simple strategies and actions. Set your ideal client profile – this is perhaps the most important first step in setting up your marketing plan on a personal basis. Knowing your ideal client profile helps you connect more effectively with the right people and in the right way. It helps you set your targets and systems of contact around your client profile. Set your local area of coverage – depending on your preferred property type, the local area of coverage with your listings will be local or city based. If it is a larger area, then split it down into precincts as it is too hard to contact lots of people with relevance. A few hundred properties can be split up into groups of 50 or so. That then makes it easier to find the property owners and occupants. Define your specialist property type – for most agents and brokers that will be office, industrial, and or retail. In saying that, there are the skill sets to consider within that such as sales, leasing, and property management. When you decide what these things are, you can set up some specific marketing material in hard copy and in online distribution to suit. Use two or three social media channels – the world is big on social media, however, don’t place all your promotional efforts into just that, and don’t use too many channels. It is a known fact that the social media channels use ‘algorithms’ to decide what they will show and how they will do it. From time to time (frequently each year) they change their ‘algorithms’, and then that shifts the marketing results that business people get with their online community activities. Two of the best social media channels for real estate people to use would be LinkedIn and Twitter. You don’t need more than that if you do things well. The next point below is far more effective in real estate marketing, particularly if you want to boost your personal profile online without the threat of ‘algorithm’ change on the standard social media channels. Set up a real estate blog, or better still an information-based website – it is easy to set up a real estate blog on a personal basis for real estate using Blogger or WordPress (it can be free). 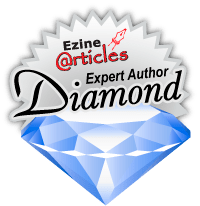 If you are gifted with the skill of writing and image creativity, there are many property-related things that you can cover and talk about online in that blog. When you have a blog website, you can do so with great effectiveness. The search engines will see what you are talking about and when. Have something of value to say on a regular basis – this is a topic of importance and location related. When you write an editorial about your location, property type, or listings, always be specific. This then helps the search engines notice you as an expert for a location, thereby helping them with search results. Connect with new people every day and stay in touch with established contacts – commercial real estate is a ‘personal contact industry’. When you do something with that fact, you can win more new business quite easily. Everything then comes back to connecting with new people and current contacts in relevant and ongoing ways. Simplicity and consistency are the key elements of a personal marketing plan in commercial real estate brokerage. These topics above will help you get started in spreading the word about your skills and real estate relevance in your location. Get the process started.